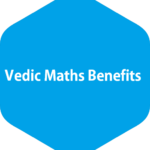 In this article, you are going to read the top 3 Benefits of Vedic Maths. Removes Maths Phobia: Maths fear in students has always been the most common thing we have observed in our daily life whether it is with our kids or it was with us. Even we measure a child’s intelligence quotient on the basis of maths among all the subjects listed in the progress report. It is generally considered that if a student scores good at maths, he/she will be good on all the subjects. We measure a child’s educational ability on the basis of maths. Vedic maths helps those students removing phobia of maths. Time-Saving: It takes 15 minutes a day practice and then a clear difference can be seen. If a student who does not have Vedic maths knowledge attempts calculation through conventional method takes 3 hours to complete maths exam, after completing Vedic maths course, a student can finish the same exam within 2 or maximum 2 and a half hour. Categorically, Vedic maths saves a lot of time than the conventional way of executing the calculation. Speed & Accuracy: These sixteen sutras of Vedic Maths increases the speed and accuracy of solving sums. There are few exams wherein calculators are allowed to carry, even those students recheck the calculation on calculators as there may be a chance if they pressed the wrong key which is also an accuracy concern but in Vedic maths you need not depend on a calculating device. It is you who has to apply the sutras/tricks in once and you get the perfect answers. It is indeed a panacea for the students who are preparing for competitive exams as the maths section demands much more speed & accuracy which is why the number of students joining Vedic maths has been constantly increasing because of such benefits. IIVA – Indian Institute of Vedic Maths and Abacus offers a certification course in Vedic Maths. Interested candidates who are looking for best place to learn Vedic Maths or want to join the Vedic Maths teacher training program can visit the website and apply. that is there is having any recognised training centre for teachers training in jalandhar. ….